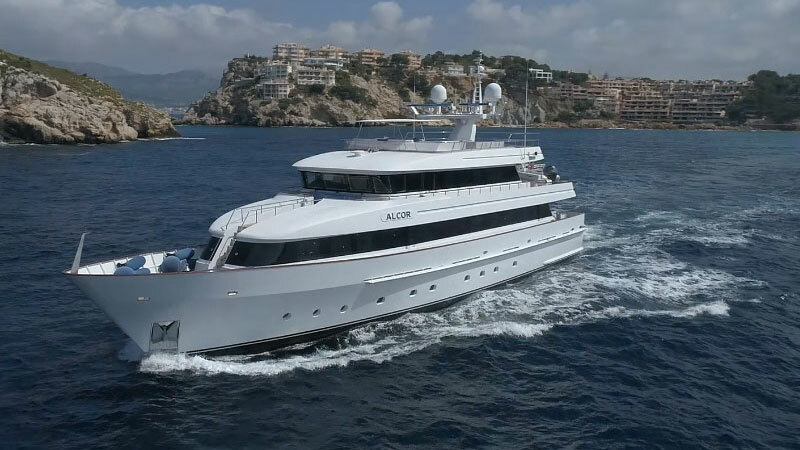 Alcor is the only yacht of her magnitude (35 meters, 3 decks) holding the Charter License to cruise in Spanish waters. She can accommodate 13 guests within a luxury atmosphere with all kinds of amenities, over three decks with gangways and elevator for people with reduced mobility or in wheelchair. Office, living room and restrooms independent from leisure areas, for executives that need an isolated space in order to work in a state of ease. Contact us and we will answer very soon. M/Y Alcor features the highest quality outdoor and indoor facilities, and a wide range of accessories for all kind of nautical activities.